Webb telescope. Mystery of Brown Dwarf Planets. This week NASA has announced that its James Webb Space Telescope will be studying somewhat mysterious space objects – brown dwarfs. Neither especially big nor bright, these objects have been unheard of until 1960 and unseen all the way till 1995. Now everybody, professional astronomers and citizen scientists, are looking for them. And NASA’s biggest space observatory, once launched, will join the hunt. James Webb Space Telescope (JWST) is a space observatory built by NASA, European Space Agency and Canadian Space Agency. It is currently in the test stage and is scheduled to launch in Spring / Summer 2019. Webb will become the biggest space telescope ever launched. Its mirror is almost three times the size of the Hubble Telescope’s mirror! But JWST is very different from Hubble. Webb is designed to “see” the infrared light (though it can make out the objects on the long end of the visible spectrum too), whereas Hubble’s infrared vision is quite poor. The problem with infrared telescopes is that you have to keep them really cold. The warm telescope will itself emit infrared radiation. Scientists found the way to keep Webb telescope cold. How? They will send JWST to orbit the Sun right behind the Earth. The telescope will use our planet as a protection form the sunlight! It will also have its own personal heatshield, a huge parasol that will help Webb stay cool. Together, the Earth and the shield will keep the telescope’s mirror and other instruments at temperatures just above the Absolute Zero! 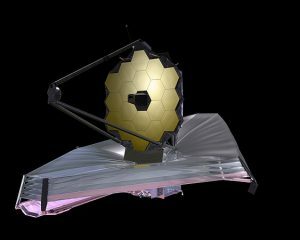 What will JWST be able to see? Well, lots of things! Stars and planets as they form, for example, since the surrounding dust prevents us from seeing them in visible light. Also the very far-away galaxies, as their visible light is redshifted towards the infrared. And, of course, many objects that are simply very dim in visible light, but shine in infrared. Such as brown dwarfs! 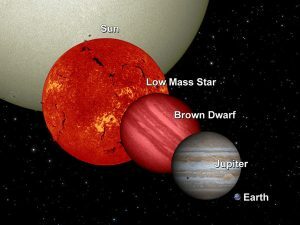 Brown Dwarfs are substars about the same size as Jupiter but 13 to 70 times heavier. This mass is not big enough to create pressures and temperatures in the center sufficient for the hydrogen fusion to start and for these objects to “light up” as stars. Other elements can burn inside the brown dwarfs though, such as the heavy hydrogen, deuterium, and, in the heaviest brown dwarf scale, lithium. Scientists cannot agree on the mechanism of the brown dwarfs formation. Many think the substars are born similar to normal stars, when the cloud of gas collapses. But some argue that the dwarfs might be born just like planets, out of the gas and dust disk that spins around the young star. Astronomer Shiv S.Kumar was the first to predict the existence of the brown dwarfs (we sometimes call them the Kumar objects). In his paper Kumar constructed theoretical models of “very low mass stars” (with masses 0.04-0.09 of the Solar Mass) and concluded that the stars below the certain mass will not have the right conditions for the hydrogen fusion to start. These objects will evolve differently from normal stars: they will contract until they become “completely degenerate objects, or black dwarfs” (scientists later replaced the original term black with brown as the term black dwarf has been already taken). Dr. Kumar estimated the lowest mass needed for the object to become a normal star as 0.07-0.09 Solar Mass. The first image and spectrum of the brown dwarf was taken with telescopes of Palomar Observatory, California, USA. Then Hubble Space Telescope confirmed the discovery. The object found is what we now know as Gliese 229B, the brown dwarf orbiting the star Gliese 229 (A), 19 light years away from the Solar System. Later, isolated brown dwarfs and even brown dwarfs being orbited by a planet were discovered. Scientists estimate that tens of billions of brown dwarfs occupy our galaxy, but they can only observe a small number a the moment. 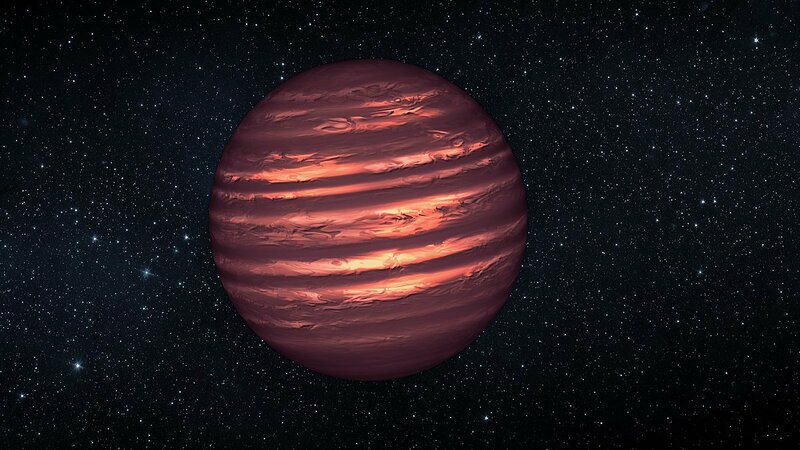 As brown dwarfs grow older, they become colder and fainter. Therefore, with the current technology, we only see the young brown dwarfs near us. Non-professional astronomers help look for the brown dwarfs too, through the project “Backyard Worlds: Planet 9”! Anybody can join in and look for the possible brown dwarf candidates using the very many images taken by NASA’s Space Telescope called Wide-field Infrared Survey Explorer. Just in May 2017 four citizen scientists became the authors of the paper announcing the new brown dwarf discovery. Hopefully the new powerful James Webb Telescope will soon help astronomers shed the light upon the mysterious grey zone between planets and stars! Visit our mobile planetarium to learn more about brown dwarfs and other wonders of the Universe!